FOOD HABITS AND ULTRASTRUCTURE OF GASTRIC MILL OF THE GRAPSID CRAB, METOPOGRAPSUS MESSOR (FORSKAL, 1775) FROM THE RED SEA, EGYPT. 2Zoology Department, Girls College for Arts, Sciences and Education, Ain Shams University, Cairo. 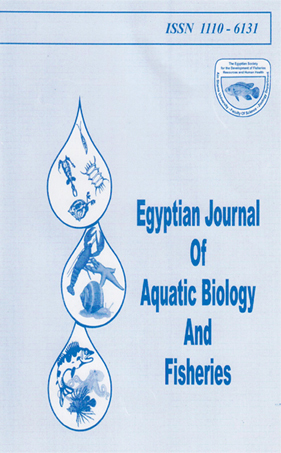 During the present study, the stomach contents of a medium-sized grapsid crab, Metopograpsus messor (Grapsidae, Brachyura) inhabiting different habitats (rocky, sandy-rock, and mangrove swamps) of the Red Sea (southern Aqaba Gulf) were examined by both frequency occurrence and percentage points. The results show that this species is opportunistic omnivore, with general food items consisting of algae (brown, red, green and blue green), benthic animals dominated by crustacean copepods, isopods, amphipods and other crustaceans,. in addition to foraminiferans, polychaetes and animal eggs, with few fragments of hydroids, bryzoans as well as organic debris and unidentified items. Higher plants including leaves and adventious roots of mangroves and seagrass leaves were also reported among stomach contents. Moreover, sediments were represented by considerable amounts at both different habitats and seasons. The types of foods were significantly different through various habitats and seasons.